These subtraction worksheets focus on subtraction incorporating borrowing across zeroes. 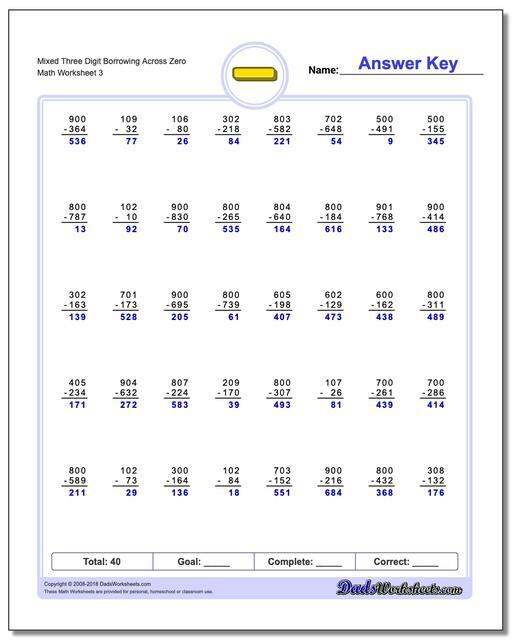 These are great subtraction worksheets to use to really practice borrowing if your student is struggling with regrouping concepts. These subtraction worksheets focus on borrowing across zero (or regrouping across zero). 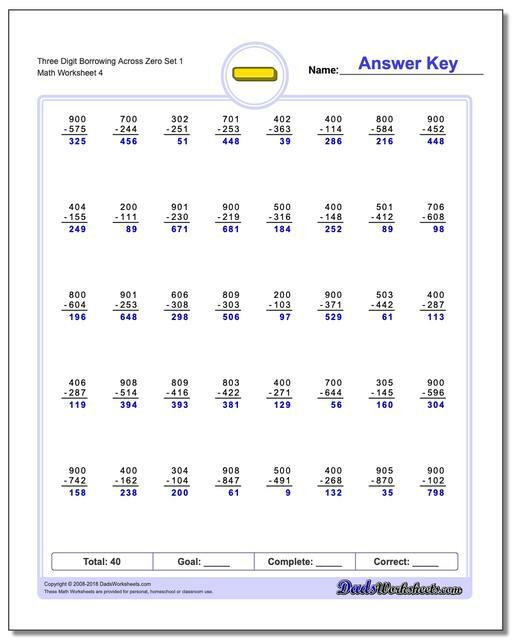 Some times when subtraction regrouping is required, the next place value digit is a zero. In order to borrow from that place value, you have to borrow again from the NEXT digit to the left. That turns the zero digit into a 10, and you borrow from that digit, leaving 9 in that place value, and then use the increment borrowed from the 10 to finally increase the original place value you were working. This regrouping procedure can be even more challenging in a multi-digit subtraction problem with consequetive zeroes in the minuend. Unfortunately, these subtraction problems don't appear 'in the wild' super frequently, so when a student encounters them initially, they can be daunting. 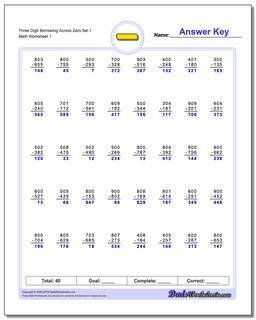 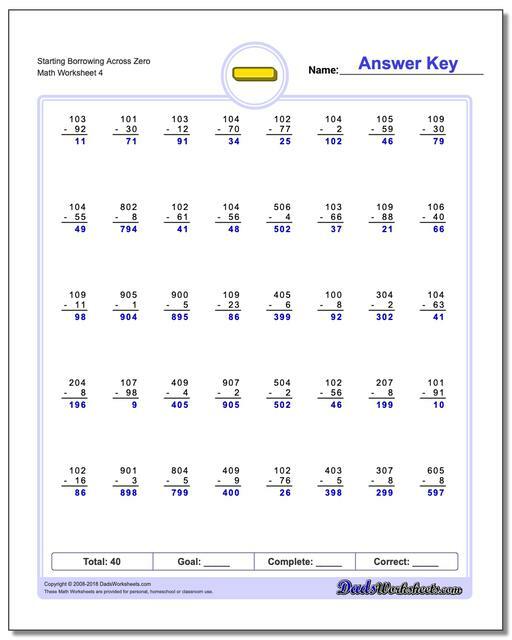 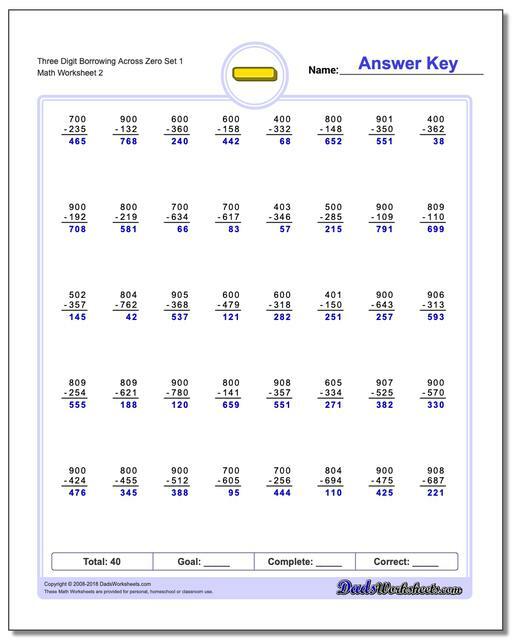 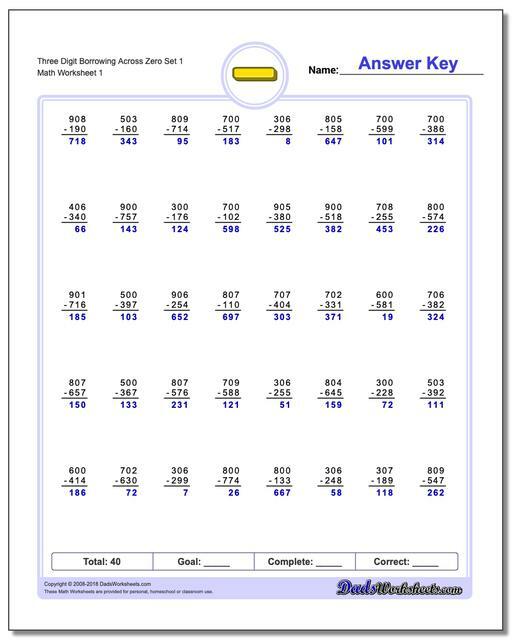 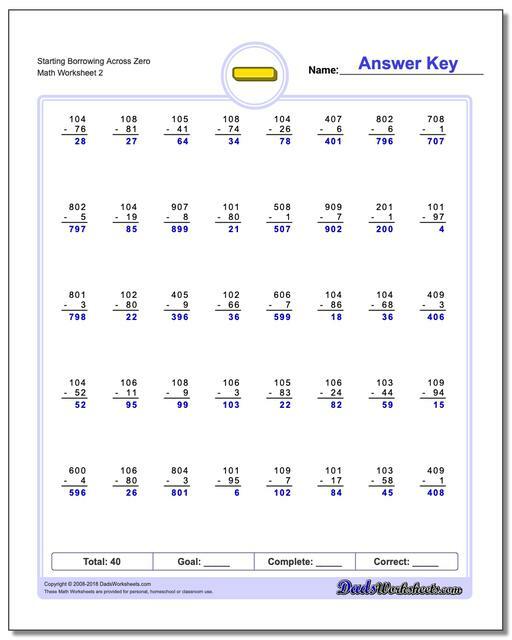 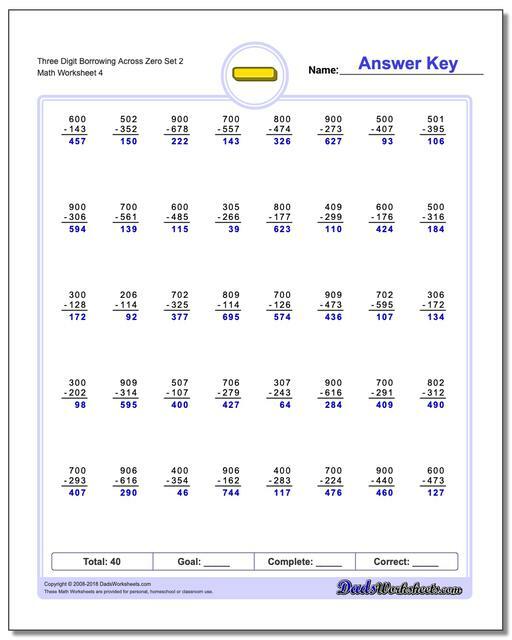 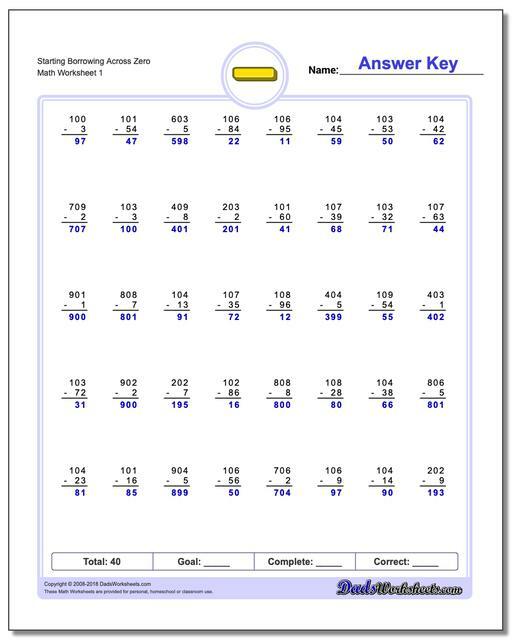 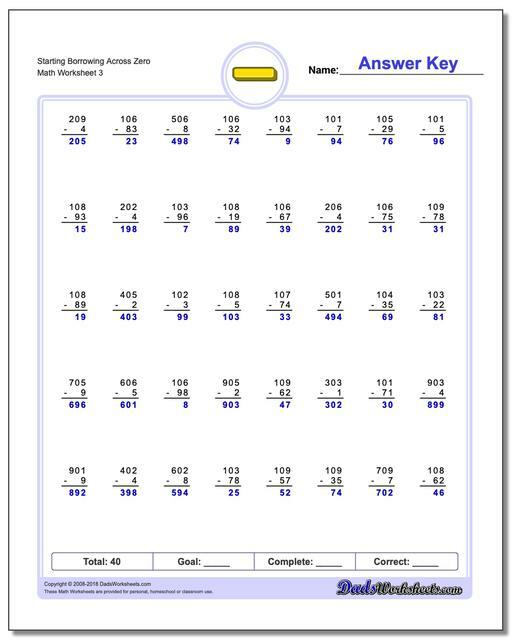 These subtraction worksheets focus extensively on regrouping across zero. 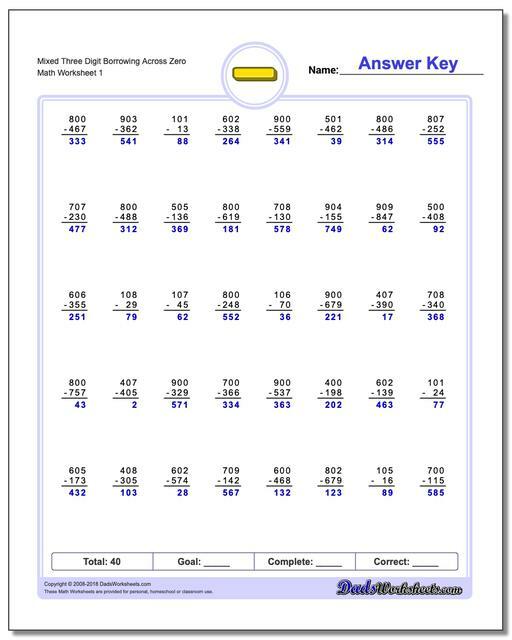 Because every one of these problems introduces this complex subtraction task, they can be used to build incredible proficiency with more tricky multiple digit subtraction problems, and when they are found in regular worksheets, they will instantly feel familiar and solvable.